In the event that your receptionist is sick, you would probably prefer not to have different representatives alternate coverage of the telephones, which can adversely affect efficiency. Make one call to Answerplus and we turn into your receptionist for the day. We understand your business and can transfer calls to the proper workers, dispatch crisis calls to assigned people or record a message for non-pressing calls. When your receptionist is going on vacation or your office is closing for the holidays, call Answerplus. Our trained customer service experts understand your business and can take messages and transfer calls to technicians and other personnel in a timely manner, based on your guidelines. You can enjoy your holidays, with the peace of mind that your business is in good hands. When you’re having an important meeting and would prefer not to be interrupted by a ringing telephone, or are facilitating a staff appreciation day and need everybody to take an interest, Answerplus is here to help. We can answer your calls, take messages and then hand them off to your office once the gathering is finished. On the off chance that there is an emergency, we will contact your assigned staff to guarantee it is taken care of in a timely manner. When your receptionist goes on maternity or paternity leave, it can be quite a challenge for most businesses. You might opt to cover the leave using different employees, but that can directly impact efficiency, productivity and consistency. Answerplus has the perfect solution – let us become your receptionist for the leave period. 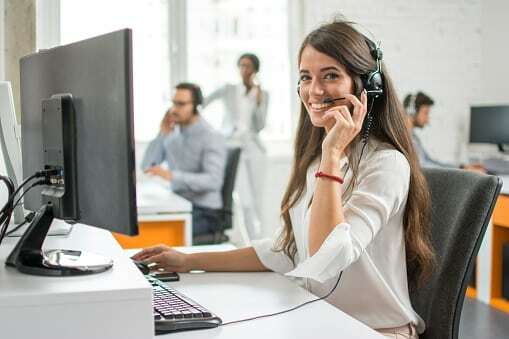 Our highly trained and experienced Virtual Receptionists can answer calls, transfer calls through to your employee’s extensions or cellphones and will keep business flowing smoothly. Zero downtime means no reason to stop growing. Support your corporate culture by supporting your team. Answerplus becomes an extension of your business, allowing your team to focus on what’s important.